There are many great methods, books, and frameworks out there on how to identify and prioritize risky assumptions, hypotheses, and questions. All the methods are tagged so that they are easily searchable depending on any other frameworks we might use. This includes simple tags such as qualitative or quantitative, which are used to denote the type of information that the method produces. 2-sided market for a business with buyers and sellers. Using these tags to navigate the methods is not as simple as using the index and may result in a large selection of methods not entirely suited to the learning goal. But we have included them so they can help us further narrow down the methods. Based on our completed canvas, we choose the area of greatest risk to our success. Sometimes this is the customer segment, but in the case of an existing market it may be the value proposition, channels, or even key partners. Each method in this book is tagged with these blocks. 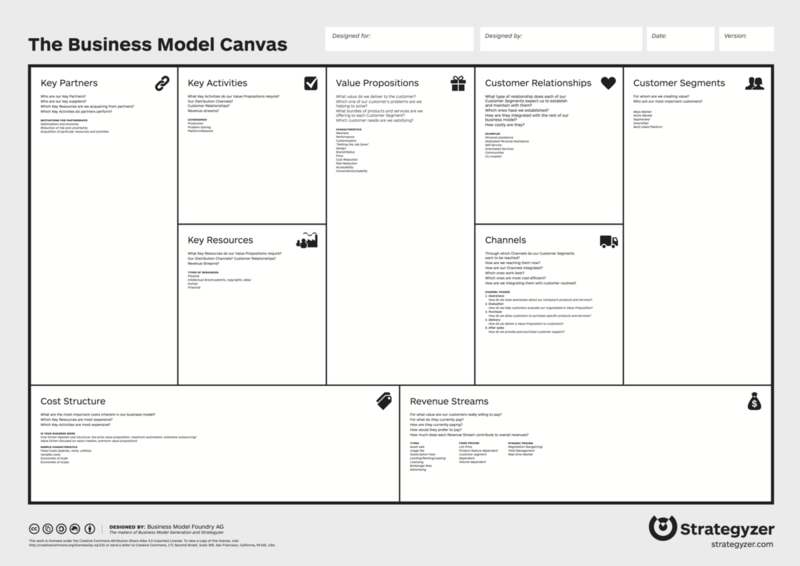 If we can identify the greatest risk to our business model via the Business Model Canvas, we can search the tags for a complete list of experimental methods relating to that building block. This won’t differentiate between generative research and evaluative experiments, so you’ll still need to take that extra step.